April | 2011 | Save the Kales! If you’ve ever studied or even remotely looked into plant based diets in terms of sustaining or improving health, you have likely read or consumed something that cited The China Study. 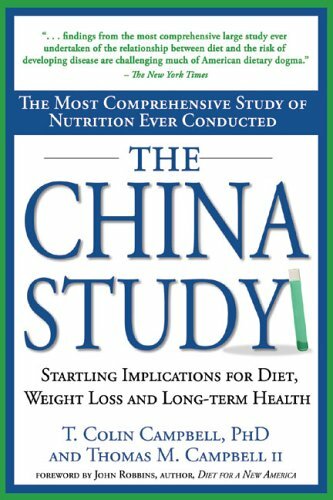 In short, The China Study is one of the most comprehensive studies EVER about diet and it’s effects on health. The thought is: If we in America have access to a billion diet and weight loss plans, any all the food we could ever want and the best doctors and most information, WHY are we getting sicker and sicker? Likely because we have some messed up ideas about food and nutrition, thanks to years of schooling and misinformation (Do you know those “Food Pyramid” charts from your elementary school cafeteria were invented by meat and dairy companies? Yup, it was an ad), a fear of being fat so we rush to fad diets instead of actual health (A diet that says it’s OK to eat cheese and ham for lunch, but claims fruit is bad? WHAT?) 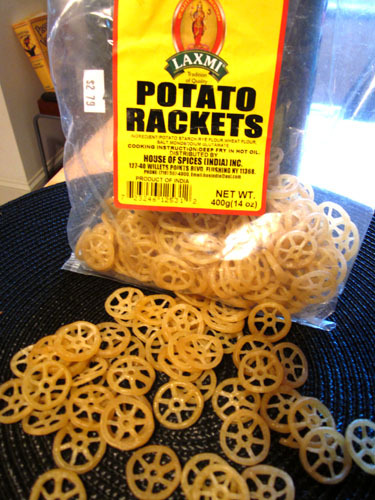 – so many rational people in our country have no idea at all what to eat! No wonder. So when we get sick, and boy are we, we simply can’t figure out why. I pose a question: If you dropped a slice of apple on the ground outside, you’d likely not pick it up and eat because it’s “dirty”. But how many times a year do you eat a hot dog, of which 25% of it’s ingredients are (and are allowed to be!) unknown… something which you literally do not know what you are eating? “People who ate the most animal-based foods got the most chronic disease … People who ate the most plant-based foods were the healthiest and tended to avoid chronic disease. These results could not be ignored,” said Dr. Campbell. What he found is that people in Asian countries, and often times in undeveloped areas, had no histories of heart diease, breat cancer, colon cancer, diabetes, hypertension, etc…. Because they ate mostly plant-based diets. Plain and simple. This summer, a new documentary will be released nationally about Campbell’s work. Forks over Knives talks with folks in the plant-based nutrition movement about preventing and even reversing things like cancer and diabetes. It can begin with food. 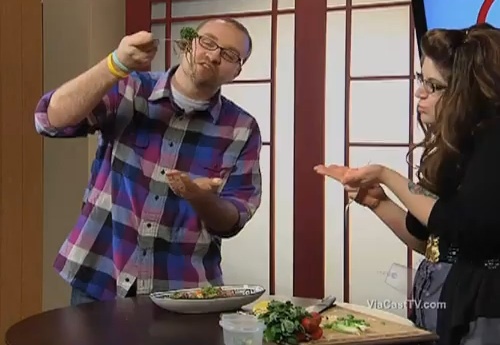 Eating a plant-based diet sounds crazy? Why is the other alternative, taking a ton of pills, injecting our bodies with drugs every day, and cutting our bodies open more normal? When did everything get so backwards? This summer we finally (FIIIINNAAAALLLYYYYY!!!!) 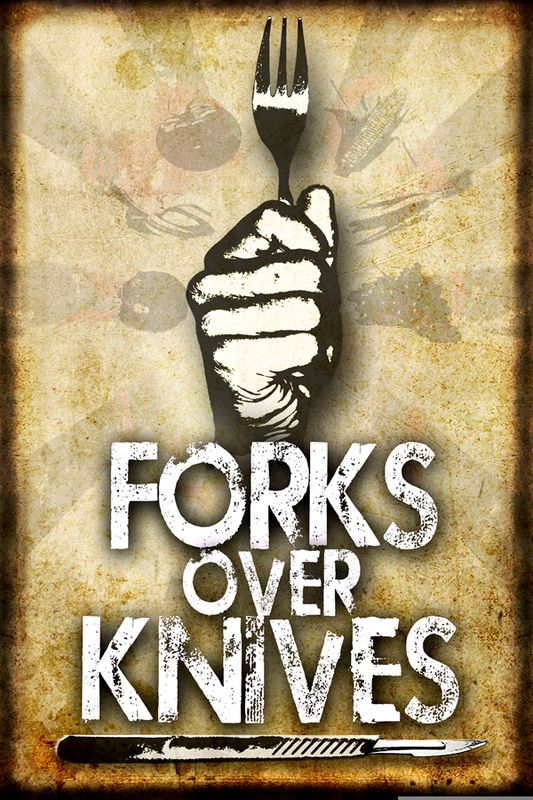 get to view Forks Over Knives. The film was discussed on the Dr. Oz show yesterday, and screenings are happening across the country and slated to open in coming months. Lehigh Valley Residents: I’m working with the cinema manager (harhar) at SteelStacks to get this film as soon as humanely possible! Count on me to let you know as soon as that happens! AND, if anyone wants to come along on a road trip this summer, a lot of the doctors featured in this film and on the Dr. Oz show will be speakers at Vegetarian Summerfest this year (I’m going! Let’s carpool or meet up!). Now that I’m cooking full time (see: constantly; always) I go to the markets about 4-5 times a week. The “Tuna Safe Tuna” is arguably my most popular dish, and it calls for a ton of fresh produce. I’m getting to make friends with the folks who work at the markets I often go to, and last week one of them (I forget her name, but thank you!!!) gave me an idea for this simple salad. Sometimes recipes are so EASY. When you read it and think about it, it can seem like, “Oh, of course that will taste good, why didn’t I think to put it together like that?” This is one of those recipes. This is so fast! You can throw it together in about 5 minutes. 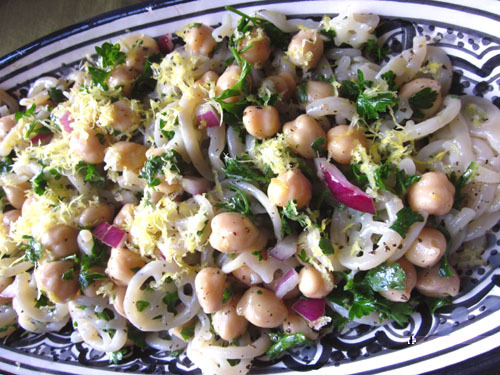 If you find yourself going to any spring picnics and need a last minute dish, make this. It’s really hearty (I’ve been eating is as a main course), healthy and inexpensive. 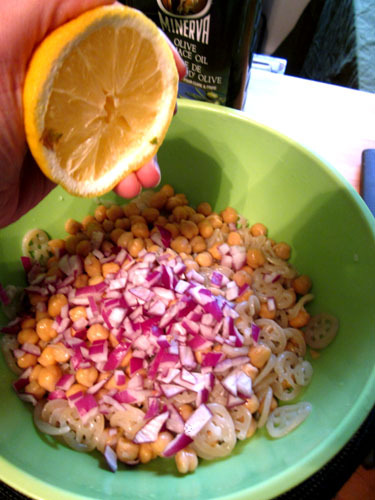 Add grain or carb to a large mixing bowl along with chickpeas, onion, and the juice of a fresh lemon. 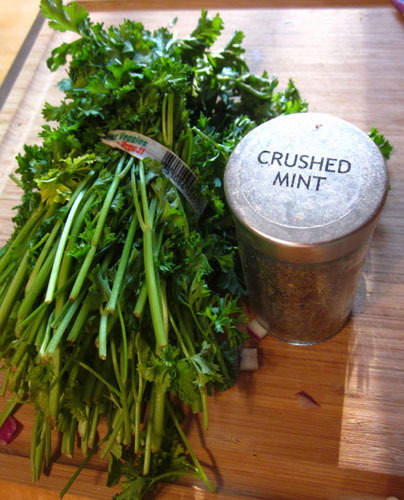 Add fresh parsley to a food processor, or finely chop by hand. 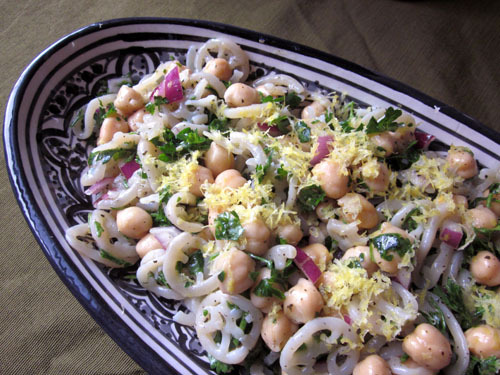 Add this and the mint to the bowl, along with enough olive oil to coat everything. If you have a “fancy”, good quality olive oil that is better than your standard cooking oil, this would be the time to use it. Mix everything together, and add salt and pepper to taste. Once plated, you can add the zest of the lemon you used for some added color and flavor, or for a garnish (as shown). This recipe is easily doubled. You can also cut all ingredients in half for a smaller amount, though I don’t recommend that at all because this is delicious and keeps well in the fridge for a few days. 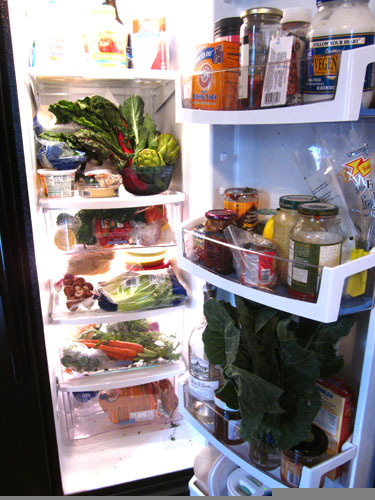 You will never want to run out. For those of you in the Lehigh Valley, keep an eye out on newsstands in about a week for the May Issue of Lehigh Valley Style magazine, which will feature three of my recipes! Holy gosh, I still can’t believe it. The use of the word “amazing” AND an exclamation point is the best compliment! 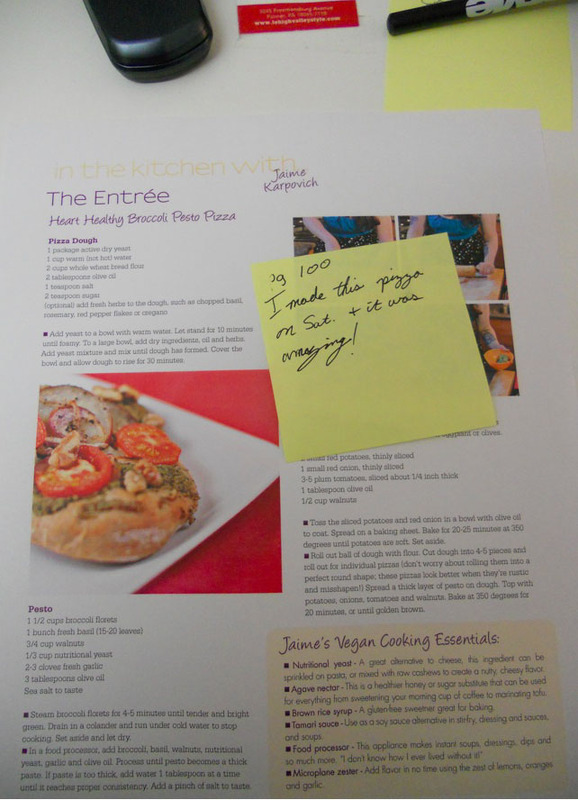 Today I’m playing around with brand new, never before seen (or cooked) recipes to share on the blog and add to the menu. Thank you everybody for your truly incredible support. I’ve never meant anything more. I woke up this morning wrapped in blankets, boyfriend, and cat. Content, cozy. But once I had my wits about me the flood of everything I have to do today hit me hard, and I became physically uncomfortable. My brain started planning, allotting time slots to each task, grasping for organization. My heart began beating faster as I wondered if there was even enough time in the day (“no” I concluded), and I felt helpless before my feet had even hit the floor. I’ve become a lot better at working through anxiety, but sometimes it still amazes me how I can go from “Everything is great!” to “I am doomed!” so quickly. I am writing this now – taking time up from one of my precious time slots mentioned above, reserved for another task that is important to complete – and realized that without a moment of clarity and calm I absolutely wouldn’t get anything else done. Or not done well. As I type this, I am fighting the voice in my head saying “You are wasting time!”. I am trying to sink into this morning moment. Putting on an album, straightening up the kitchen so I have a beautiful clean slate tonight when I make dinner. 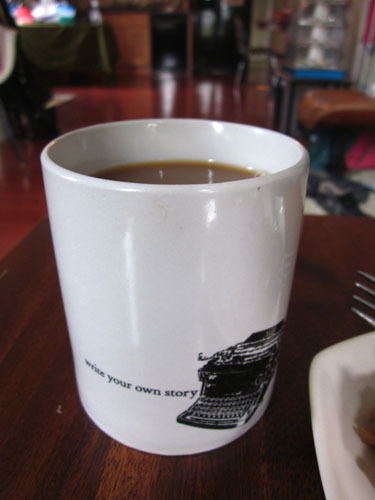 Enjoying the last of my favorite coffee before I take a walk tomorrow to the shop to buy a new bag. Savor my leftovers from dinner last night – who say’s you can’t eat spicy thai food for breakfast? – and breathe and soak in each of these things, being in the moment. 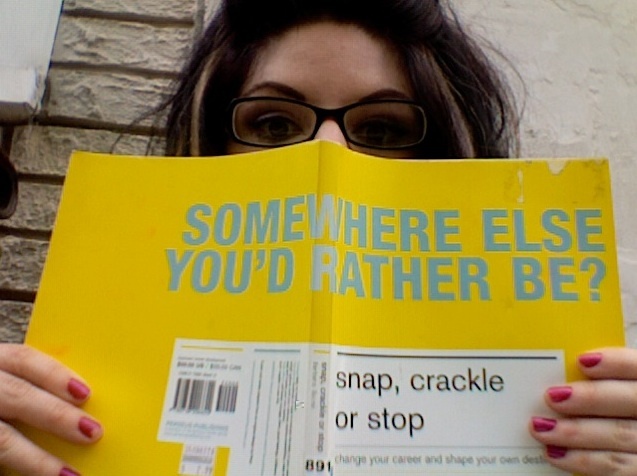 In the last year I have some to really embrace the sometimes eye-roll inducing, corny self-help stuff. I love it. I absorb it whenever possible, because I think even if you can’t buy into the fact that we may be earth goddesses seeking our path to a divine plan that manifests when we wish it (or whatever), the foundation of those things help at times like this. So now I’m at the kitchen table with the windows open, feeling a slight breeze and looking at the way the sun fills my house with light. I am thankful for my home that has everything I need and so much more. The coffee is good and warm. And more importantly, my mental state has shifted from anxious to excited. Everything I need to work on today is something I am honored to be a part of – all the writing projects are things I believe in, that support community, and are things I would desire to do if I wasn’t already doing them (and I get to go to a really fun media-only event in an hour!). The food orders I am having a hard time keeping up with are the biggest, most wonderful blessing to me. It’s truly the very best “problem” I could have as a new business owner. And because someone really procrastinated on finishing her taxes (ahem), I can think about what I will get back from them in a few weeks and how it will come at exactly the perfect time to invest in my business. Today I am going to work hard and all the while be thankful I am able to do what I love to do. For some, it’s music, fashion or community planning. For others, it’s creating art, designing websites, baking beautifully decorated cakes, inspiring more people with words of encouragement. I just want to do good things. Not make a million dollars. Just get in better shape financially and professionally, cook food that people enjoy and can feel good about, that helps people and the earth and animals, to live with love every day. That is my goal, that is what I want. I know you’re going to look back at some point and breathe a huge sigh of relief. I know that you will keep doing what your heart has been telling you to do. I know that everything has its timeframe and plan, and sometimes we don’t know what’s coming, but we keep going until we hit a wall or the universe opens up into a world we didn’t even think existed beyond our dreams. Sometimes we don’t even dare to dream anything other than what we know, because of all of the roadblocks and negative people and energy (and bills!). But, when we take those steps away from what we know we don’t want or what we no longer will tolerate, the path always appears. Before making the switch from full time job to cooking-as-a-fulltime-job, I found a book (well, I found many books, but this one in particular) that helped put the need for change in perspective. Snap, Crackle or Stop by Barbara Quinn came to me by way of a library book sale. While I was initially drawn to the cover design, the content was like a sassy friend holding a career intervention. If you do nothing to make the change, nothing is what you’ll get. The hard work has to start with you. No one else can tell you. Deep down you probably know or could describe your fantasy job. Sooner or later, you are going to have to admit it out loud to someone. Don’t give in to complacency. Being average is tragic. We have a hard time accepting that we can do anything. The only thing stopping us is us. How many more years can you convince yourself that “good enough” is okay? Would you want that for your spouse, your children? If a loved one was very sick and you could take them to a nearby doctor that was fine, or make a long drive overnight to another city to see one of the best specialists to treat that condition, would you really go to the local doctor because it’s more convenient? When did convenience become more important than passion? I’m not in any way trying to say it’s just soo easy. For years I had been telling myself: I need more money. I need to pay off more debt. I need more formal education. Someone else has more experience. I don’t know where to start. It would be irresponsible toward my family if I just picked up and did whatever I felt like. Those may be valid excuses, but they are still excuses. What would you love to wake up every day and do? And how can you begin to take steps toward doing it? I ask that sincerely. This is currently one of my favorite topics to discuss, so if you have insight or just want a chat, you know where to find me. Last night this local PBS show aired that was about the best topic: Bethlehem continuing to develop and be an awesome, progressive place to live full of creative people and businesses makin’ it happen. 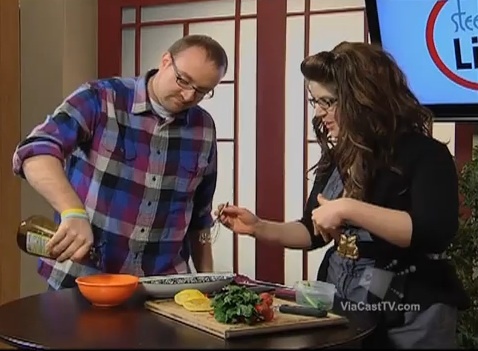 You can see me at the 5:30 mark mentioning Vegfest on the new Greenway (and learn more about the greenway), and the wonderful Samantha, Downtown Bethlehem Association Manager at the 19:51 mark talking about Vegfest! Also, applause to the ubiquitous Andy Po of Homebase, Amanda of Apotheca (a sweetheart and a vegan! ), lots of talking about the new SteelStacks building where my cutie-pie boyfriend Ryan is booking wonderful comedy shows, events, film fests, and other exciting stuff. In the second half you’ll see chef Frederica of Hotel Bethlehem, one of Vegfest’s cooking demo chefs, and my girl Bekah from the City of Bethlehem’s Economic and Development Council, nicest person ever and someone that helps people with good ideas get them into action.